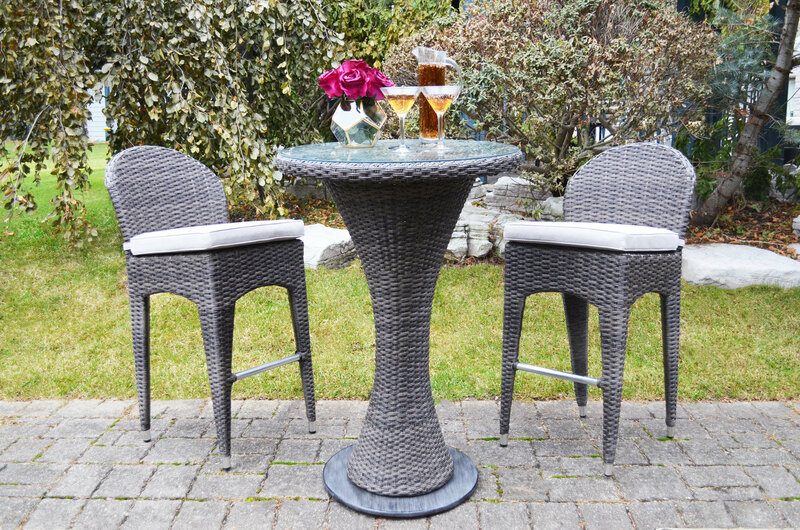 With the Martini Resin Wicker Patio Bar Collection, you can get that fun pub look without the crowd or noise of an actual bar. This attractive patio set is covered in a warm, grey resin wicker for a high-end look that you'll love. With a fashionable yet casual style, you and your friends can enjoy this outdoor set all day....or all night long!